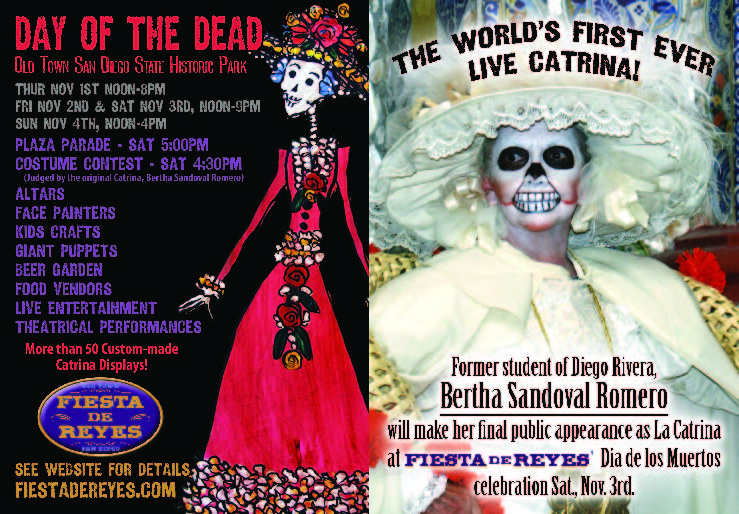 Old Town San Diego State Historic Park is about to come alive to honor the dead. 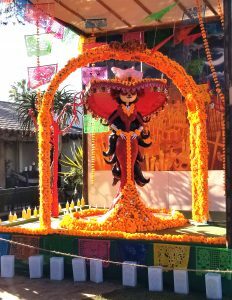 The park will host one of the biggest Dia de los Muertos celebrations in San Diego and Fiesta de Reyes will be right in the middle of it all! Join us! Thur – Noon to 8 p.m.
Fri – Noon to 9 p.m. Sat – Noon to 9 p.m.
Thur. 10 a.m. – 10 p.m., Fri. 10 a.m. – 11 p.m., Sat. 10 a.m. – 11 p.m., Sun. 9 a.m. – 10p.m. The candlight procession is November 2 only and starts at the intersection of Twigg Street and San Diego Avenue at 6:00 p.m. Gather between 4 p.m. and 6 p.m at Twigg and San Diego Avenue. 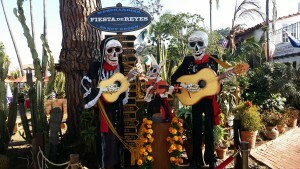 See what 10 News has to say about our Dia de los Muertos celebration last year. This year, we’re taking the whole weekend to celebrate, starting on Thursday, November 1. We’ll be celebrating in style with professional face painters on hand, art demonstrations, live entertainment, both traditional and contemporary altars on display, and a host of vibrant Catrinas holding court throughout Fiesta de Reyes and Old Town San Diego State Historic Park. This year join us for our first ever Dia de los Muertos Parade in the state park. The parade will kick off at 5 p.m. on Saturday, Nov 3. This is a true celebration of life and a great experience for the whole family. 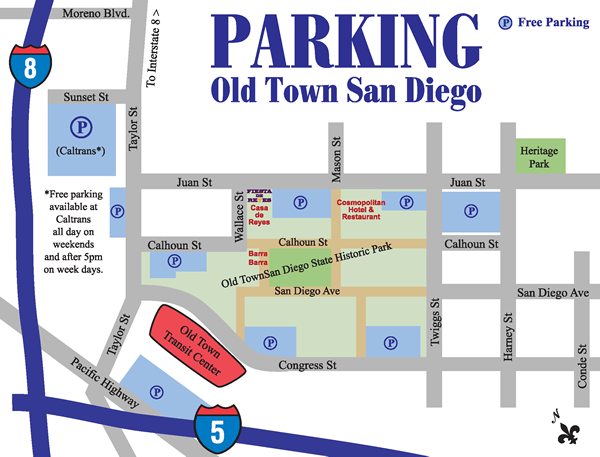 All of Old Town San Diego State Historic Park will be alive with activities and demonstrations. To see the dramatic larger-than life displays in the growing collection at Fiesta de Reyes is a not to be missed opportunity.